Alberta is now on a state of emergency. Uncontrolled wildfires hit Alberta in the past few days. They are eating their way towards Fort McMurray, one of Canada’s oil sands cities. A massive evacuation is underway to transfer 80,000 residents to safer ground. Around 29,000 people were already evacuated. A mandatory evacuation was announced and officials are now racing to evacuate the residents. Alberta appealed for help from other neighboring provinces to battle the raging wildfire that is spreading so fast in the city. The wildfire is spreading so fast that it covered a 2650-hectare (6540-acre) area. The wildfires were first spotted on May 1 which started southwest of Fort McMurray, then trailed the main southern exit from the city. Scared residents started to head north towards the oil sands camps and to safer ground. This is the second major fire recorded in the city in less than a year. In May 2015, wildfires in the area caused evacuation of hundreds of workers from Canada’s energy heartland. A massive evacuation is underway to relocate around 80,000 residents. The evacuation is said to be the biggest in the history of the province in terms of fire. 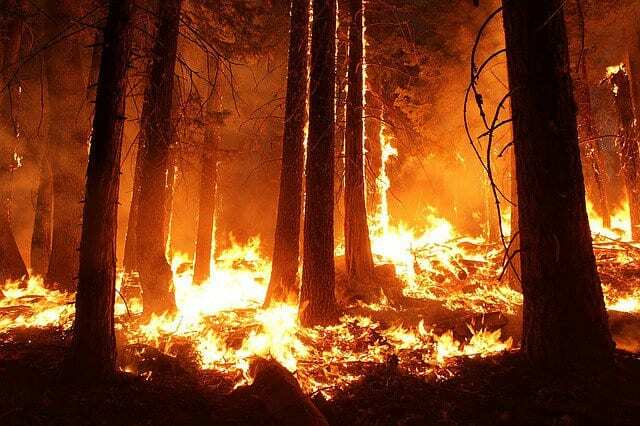 The wildfire is expected to get worse because of its intense speed of 25 to 50 kilometers per hour. Some residents were evacuated to Noralta Lodge, an oil sands camp 21 kilometers north of Fort McMurray. Even patients from Fort McMurray hospital were evacuated to other health facilities. Students were sent home early as the wildfires continue to spread. The raging fires also prompted flights to be cancelled from Fort McMurray airport. Fortunately, there were no reports of injuries or casualties in the fire up to now. And oil sands operations were also unaffected. Alberta is determined to fight the rapidly-spreading wildfire to avoid human casualties. Nine air tankers, more than a dozen helicopters and a powerhouse of more than 100 firefighters are now on a mission to battle the fire. Canada’s New and Controversial Impaired Driving Regulations: Is the US Next?